Friends of Scouting is the annual direct-giving finance campaign for the Maui County Council Boy Scouts of America. It represents almost 20% of the council's annual operating budget. 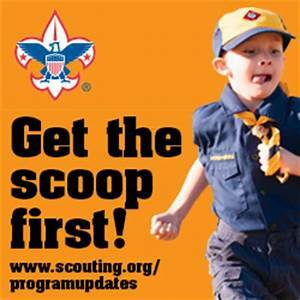 The council relies on Friends of Scouting, along with the annual popcorn sale, contributions from Scouting families, the Sentry Tournament of Champions and other fundraisers to fund a $600,000 budget. With only four employees and 400 volunteers, every dollar counts. 100% of the dollars donated support the Maui County Council Boy Scouts of America in its mission to serve young men and women of Maui County with programs that teach leadership, service, citizenship, career skills and life skills. 100% of each gift is tax deductible. $1,000 Funds a patrol or den of Scouts for one year. $600 Funds 4 Scouts for one year. $300 Funds 2 Scouts for one year. $150 Funds 1 Scout for one year. 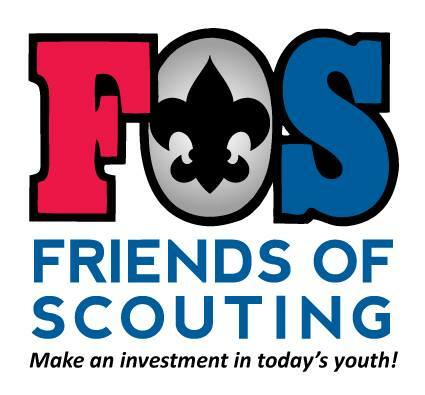 Click Here to make your Investment to Friends of Scouting. Did you know that you can help earn additional funds for the Maui County Council Boy Scouts of America while you shop on Amazon? Log in through AmazonSmile.com which is the same Amazon that you already know and love, and then choose the Maui County Council Boy Scouts of America as the organization that you wish to support. Amazon will donate 0.5% of the purchase price to the Maui County Council. Please bookmark the link http://smile.amazon.com and support us every time you shop with Amazon. Thank you for all you do for Scouting. The James E. West Fellowship Award is a national recognition for individuals who contribute $1,000 or more in cash or securities to their local council endowment fund. This contribution is in addition to, and does not diminish or replace, the donor?s annual gift to the council?s Friends of Scouting Campaign. Organizations or individuals may contribute an award in honor of someone ? an Eagle Scout, a Silver Beaver recipient, council president, or district chairman, or in memory of a departed loved one, business associate, or special Scouter. The James E. West Fellowship Award is an attractive 8-by-10-inch certificate, personalized with the donor?s name, date of gift, and council name. In addition, there will be a distinctive lapel pin/charm and an embroidered square knot for uniform wear. While it is a national recognition, the James E. West Fellowship Award is authorized and presented by the local council. Appropriate national recognition will be given at a special event determined by the donor and council. The award is named after the first Chief Scout Executive of the Boy Scouts of America who exemplified Ralph Waldo Emerson?s observation that ?an institution is the lengthened shadow of one man.? Scouting today is the ?lengthened shadow? of more than three decades of the farseeing and dedicated leadership of Dr. James E. West. This 1910 Society Award is a national recognition for individuals, companies, or organizations who contribute $25,000 or more to the local Council endowment fund. It is designated for gifts that are easily converted to cash and should be paid within five years of the date of the gift. First Chief Scout of the BSA and founder of the Woodcraft Indians. He wrote the first official American Scout handbook-Boy Scouts of America: A Handbook of Woodcraft, Scouting, and Life-craft. Seton was a nationally recognized wildlife artist, naturalist, author, and lecturer. He wrote several books, including The Birch-bark Roll of the Woodcraft Indians (the manual for Woodcraft Indians), and Wild Animals I Have Known. National Scout Commissioner and founder of the Society of the Sons of Daniel Boone. He also served as the first chairman of the National Court of Honor. Beard wrote and illustrated stories for youth in numerous magazines. He penned The American Boys' Handy Book and Buckskin Book for Buckskin Men and Boys and illustrated Mark Twain's A Connecticut Yankee in King Arthur's Court. Chief Scout Citizen and president of the United States of America. He was recognized as an author, a naturalist, soldier, statesman, and an explorer. Colonel Roosevelt was named honorary vice president of the BSA in 1910, having already achieved a distinguished military career as commander of the famous "Rough Riders' cavalry regiment in the battle of San Juan Hill. One of the Boy Scouts of America's first benefactors. In 1938, Phillips donated to the BSA a large portion of his ranch in northeastern New Mexico. The ranch was originally named Philturn Rockymountain Scoutcamp but is now called Philmont Scout Ranch. Phillips was an entrepreneur, oilman, outdoorsman, a banker, and rancher. The 1910 Society Award is a leather-bound Boy Scout Handbook with the donor's name embossed in gold on the cover. The donor will also receive a distinctive lapel pin/chain and parchment certificate. 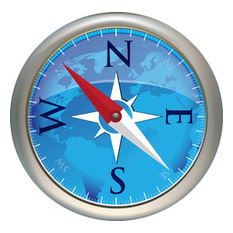 The level of giving is distinguished by a device on the pin. Virtually any important event in anyone's life -- retirement, achievement of Eagle Scout rank -- or the memory of a special Scouter or loved one can be recognized by this type of contribution. A gift to the memorial/tribute fund encourages young people to live the life of a Scout and perpetuate the high principles of a friend. Special acknowledgements are sent to the donor and the recipient or their family. Gifts are also acknowledged in the Maui County Council newsletter. Any amount can be given; amounts are kept confidential and they are tax-deductible. To make a memorial/tribute fund contribution, contact the Maui County Council Service Center or donate here.